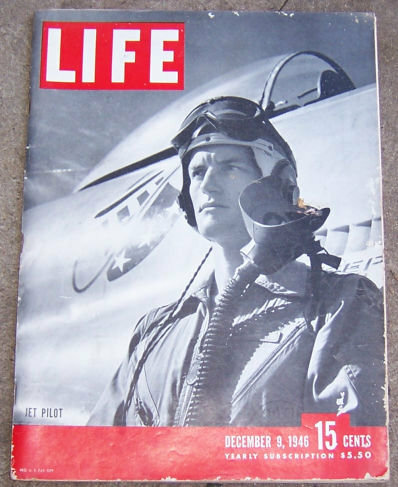 Life Magazine December 9, 1946. Jet Pilot on cover. Articles inside also include P-80 Army's Jet Fighters, Swiss Alpine Rescue, Nation's Coal Strike, Normandie Towed to Scrap Pile, Nazi Scientists as US Researchers, Gastronomy, Football's Top Kicker Lou Groza, Huey Long, and more. Filled with great period advertising and Life's Famous Photographs. Magazine is in very good condition, wear at edges and spine.